Who would celebrate bugs? Just about everyone when you realize the “bugs” are what scuba divers affectionately call lobster. Welcome to BugFest. Fort Lauderdale hosts BugFest By The Sea to celebrate the mini-season on July 24-29. It’s a week-long series of fun events centered around the two-day catch. Participants can claim $20,000 worth of cash and prizes in categories such as Bugs Caught While Boat Diving, Beach Diving and “Bug Babe,” the biggest lobster caught by a woman. Before heading out, verify regulations with Florida Fish and Wildlife for the area you’ll be diving. Bugs and lobsters a lot in common, like long antennas, spindly legs, and a shared ancient family history, but the lobsters are a lot tastier, so I’m told. In South Florida, near the end of July, you’re not limited to selecting your lobster dinner from the grocery store or restaurant live tank; select them yourself right from their home. 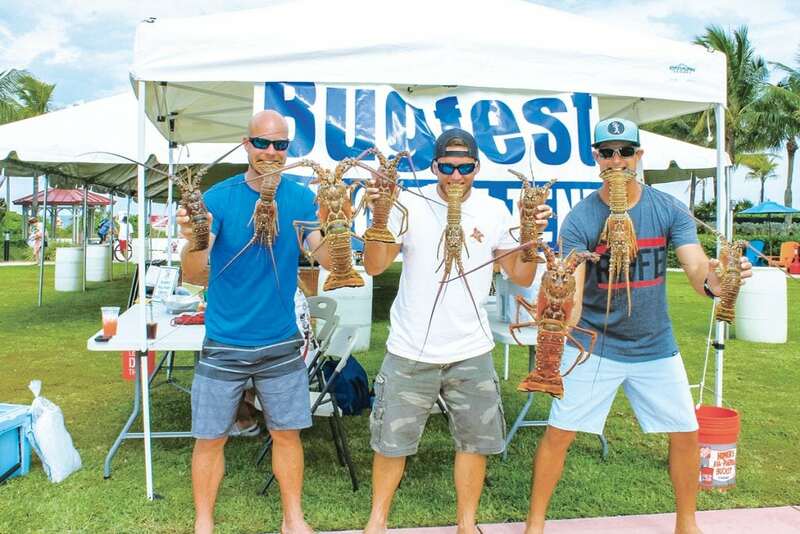 Each year, coastal Florida holds a summer mini-season when divers can legally collect up to 12 lobsters per day (6 per day in the Florida Keys) on the last consecutive Wednesday and Thursday in July. This year, the mini-season begins on July 25th at 12:01 AM and ends at midnight on the 26th. Some locations allow night diving when the lobster are more active.